In case of Scheduled Tribes, the President has been similarly empowered under Article 342(1) of the Constitution. New Delhi: In a significant and landmark ruling, the Supreme Court held on Thursday that a person who is recognised as a member of a Scheduled Caste or Scheduled Tribe in his/her original state will be entitled to all the benefits of reservation under the Constitution only in that state and is not entitled to the benefits of reservation in another state or Union territory to which he/she may migrate. 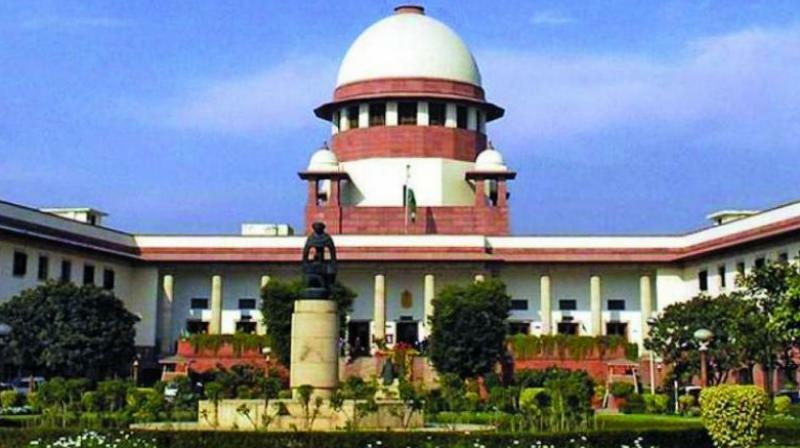 By way of illustration, the court said if a person listed as an SC/ST in Andhra Pradesh who migrated to Maharashtra is to be given the benefit of reservation, it will amount to depriving an SC/ST person of Maharashtra by reducing the reservation earmarked for him. Giving this ruling, a five-judge Constitution Bench that comprised Justices Ranjan Gogoi, N.V. Ramana, R. Banumathi, M.M. Shantanagouder and Abdul Nazeer, by a majority of 4:1, however, held that insofar as the National Capital Territory of Delhi is concerned, the pan-India reservation rule in force is in accord with the constitutional scheme relating to services under the Union and states/Union territories. Justice Banumathi, in a separate judgment, differed with the majority ruling to a limited extent by holding that the benefit of quota would not be available to a migrated SC even in Delhi. The Constitution Bench was answering a reference on whether a person belonging to a SC in a particular state would be entitled or not to the benefits or concessions allowed to SC candidates in the matter of employment, in any other state? In his main judgment, Justice Gogoi said Article 341(1) of the Constitution empowers the President with respect to any state or Union territory, and where it is a state, after consultation with the governor thereof, by public notification, to specify the castes, races or tribes or parts of or groups within castes, races or tribes which shall for the purposes of the Constitution be deemed to be Scheduled Castes in relation to that state or Union territory. In case of Scheduled Tribes, the President has been similarly empowered under Article 342(1) of the Constitution. Justice Gogoi said a person belonging to a SC in one state couldn’t be deemed to be a SC person in relation to any other state to which he/she migrates for the purpose of employment or education. If a member of SC/ST gets the benefit of that status throughout the territory of India, the expression “in relation to that state” would become nugatory. Further, Justice Gogoi said if the special privileges or the rights granted to Scheduled Castes or Scheduled Tribes in a particular state are to be made available in all states and if such benefits are to be carried from State “A” to State “B” on migration, the mandate of Article 341/342 would then get compromised.